Residencial Joao XXI Guest House, Lisbon. Hotel Residencial Joao XXI Lisbon. The Residencial Joao XXI in Lisbon is a modern and comfortable guest house located in the very heart of Lisbon, near the Liberdade Avenue and the famous "Baixa", the Residencial Joao XXI is the ideal place both for business and leisure travellers. 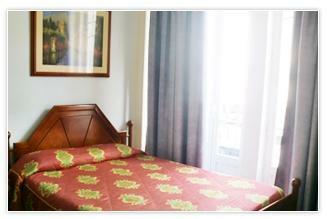 If offers modern and fully equipped rooms. The guest house will change towels every 3 days.